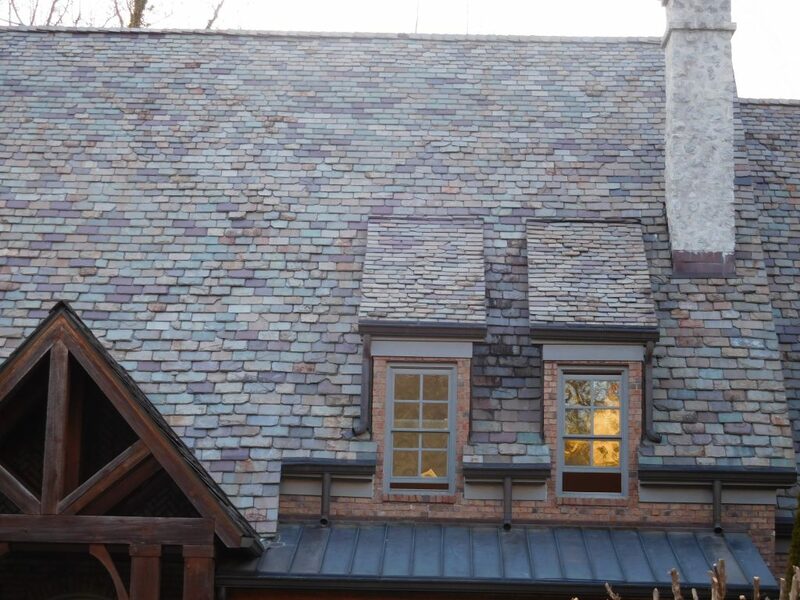 Slate roofs, often inspired by the traditional English cottage, are elegant and unique. Since they are made of natural stone, they’re durable, reliable, and can last more than a century. They can also sometimes be cost-prohibitive and difficult to install. Not always, though, says Ken Rule, managing partner of Vermont Slate Co. Rule shares some of the pros and cons, and what homeowners need to consider when choosing slate roofing tile for their home. 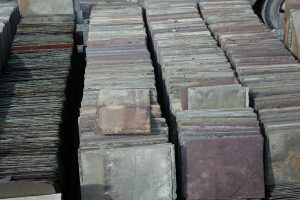 Squares of slate roofing tiles at Camara Slate Products. Natural slate is one of the most prestigious roofing materials on the market and adds value to the home, says Rule. From an aesthetic perspective, a slate roof sets your home apart from your neighbors. It’s an eco-friendly option since no petroleum or chemical additives, such as paint, plastic, or preservatives, are used to create the tiles. A permanent roof can last more than 100 years and since slate has been used for centuries, it has a 1,000 plus year track record as the oldest roofing product on earth. 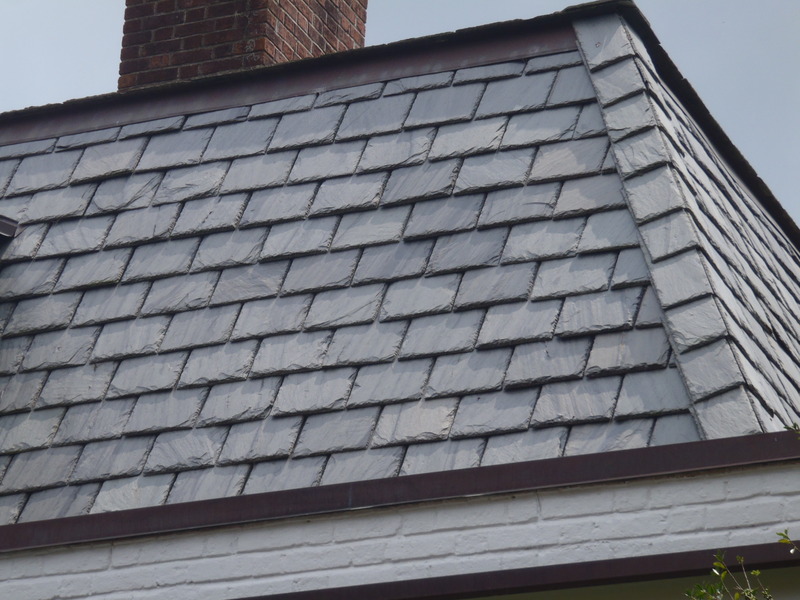 From a durability standpoint, slate roofs are fireproof and boast a Class 4 hail rating, the toughest of the national standards for roof impact resistance. Slate tiles can also be recycled after they’re used on a roof since they’re made of natural stone. 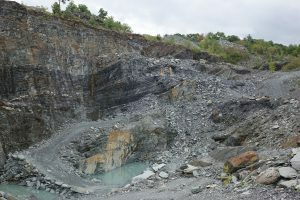 Slate quarry at Camara Slate Products in Vermont. 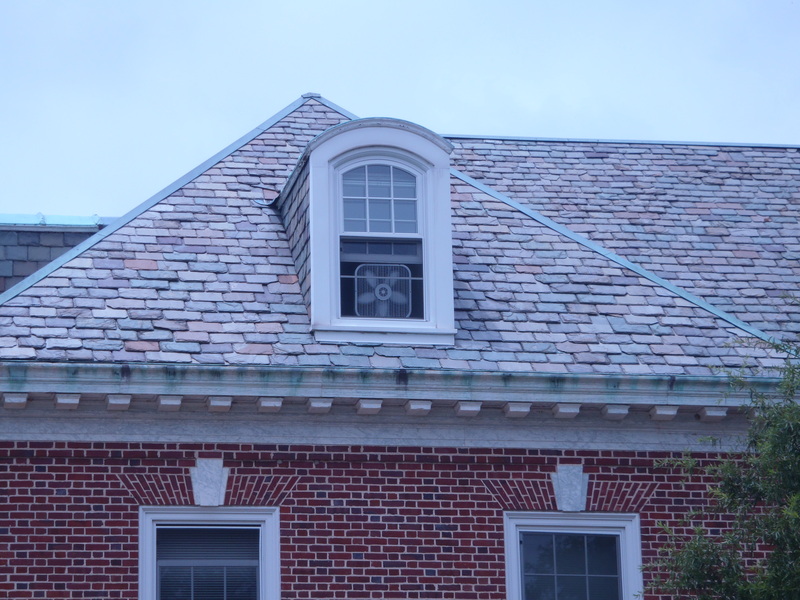 “Slate roofs are reliable in all types of climate and require virtually no maintenance if properly installed. They’re considered the best of the best in any market,” adds Rule. So why aren’t we seeing more slate roofs on homes, given the many benefits and advantages the material affords? 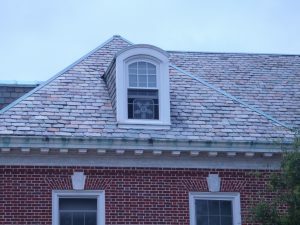 For one, installing a slate roof requires an experienced installer at a cost of $12 to $20 a square foot, depending on the area of the country, says Rule. This cost is in line with other permanent architectural roofing products. It also “requires minimum 4/12 pitch or greater in normal conditions and weighs about twice as much as high end fiberglass shingles,” adds Rule. The average weight is 900 pounds per SQ. In the roofing world, a square of roofing equals 100 square feet and is denoted as a SQ. Therefore, a SQ of slate is 100sqft of covered area on the roof and weights 900 lb per SQ, or 9 pounds per square foot. Cherokee Plantation Vermont Gray Black. 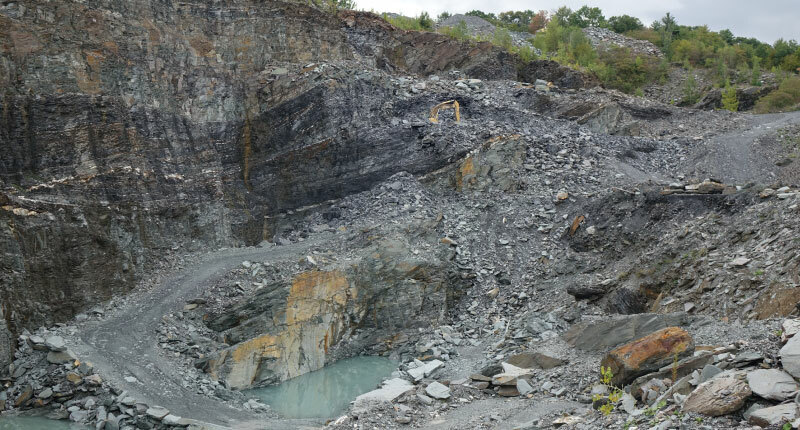 Photo courtesy of Vermont Slate Co. Some homeowners are considering synthetic slate lookalikes as a cheaper alternative to natural stone slate tiles and Rule cautions against what might appear like a good choice. Rule notes that synthetics have not only increased in price, but that from a long-term perspective, they are more expensive, since only a few synthetic roofs have lasted on the market more than 10 or 12 years. “The two that have do not hold color and can curl badly after a decade,” says Rule. 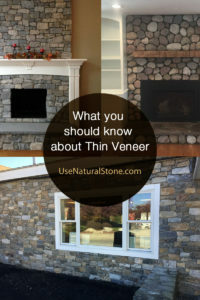 “You should be sure to look at weathered installations 10 years or older for any synthetic you are considering.” Oftentimes synthetics may appear to hold up like natural slate but are in need of significant maintenance. The argument that synthetics are better for the environment is also incorrect, according to Rule. In fact, the fossil fuels, energy, water, and chemicals required to create these synthetic lookalikes are an environmental disaster. 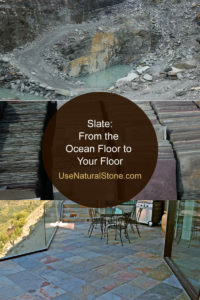 “Natural slate is only natural stone with no chemicals: just rock and hard work,” he reminds customers. Homeowners might see some cost savings with synthetics when it comes to installation times, but even then, Rule argues to look beyond the initial claims. What appears at first blush to be a good alternative may not be such a good option when you consider the whole picture. Bottom line: be sure to compare the facts on the synthetic before you default that they’re a better option. 150 Year Old Vermont Blend. Photo courtesy of Vermont Slate Co. Cost remains one of the biggest barriers for homeowners. 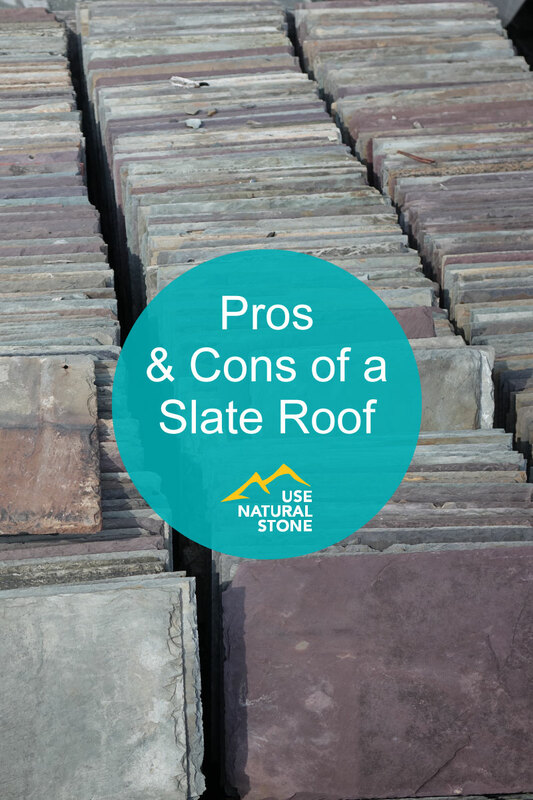 Natural slate roofs might not be a cost-effective option for everyone, but they shouldn’t be dismissed on pure cost alone. 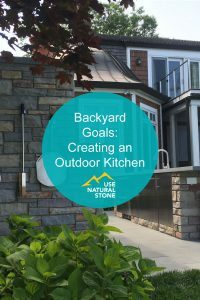 Depending on your goals, they can be a good investment when you consider them from a property value and maintenance expense perspective. Costs can sometimes be financed with a home improvement loan, making the option even more financially accessible than some homeowners think. When comparing the benefits of installing a long-term and sustainable natural stone roof that will last for 100 years versus one that will need to manufactured and replaced every 12-25 years, depending on the type of roof, the costs might prove to be less expensive per square feet than any other product. To help a homeowner or architect make the right decision, Rule recommends working closely with industry experts to secure the right installer. 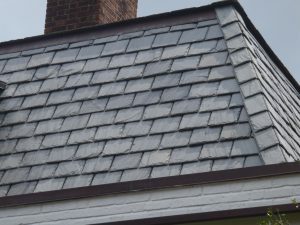 The Slate Roofing Contractor Association and National Slate Association websites are great places to start your research and to find approved installers as well as details for installations. Old Historic Vermont Blend. Photo courtesy of Vermont Slate Co.